‘Cloud computing’ can transform the way IT services and infrastructures are delivered to public sector organisations. ‘Cloud Computing’ uses remote servers to store, manage and process data rather than local servers. These remote servers may be hosted on the Internet, providing services to a wide range of users (Public Cloud), or may be hosted within a private data centre, providing services to a more limited set of clients (Private Cloud/Internal Cloud). Users access cloud-based applications through their web browser, or a light-weight desktop application or a mobile application. The business application and the users’ data are stored on the remote servers in the Cloud. There are already many Public Cloud service providers in business, such as Google, Amazon, Salesforce, Microsoft, Citrix, Joyent and Rackspace. Cloud services offer an opportunity to transform the way IT services and infrastructures are delivered to public sector organisations, offering the potential to revolutionise the way ICT services are purchased, managed, and delivered. They will fundamentally change the way organisations interact with their ICT suppliers. However use of the Cloud is not without its issues: not all applications are suitable, benefits are sometimes overstated and successful delivery of these services requires experience, and understanding, of possible problems. Actica can provide you with the assistance you need throughout your Cloud journey. Whether you are at the beginning of the cycle, thinking about the opportunities offered by the Cloud, planning to deliver the benefits, migrating applications and services to the Cloud or are already exploiting Cloud services, we offer the tailored professional services to ensure your success. 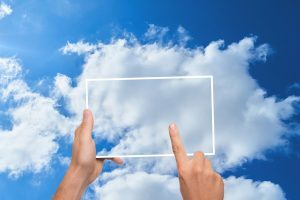 We can help you explore and determine the business value the Cloud can offer and understand the changes migrating to the Cloud brings. As you assess different Cloud options, we ensure you make informed decisions by providing essential expert advice on key considerations such as security, legislation and data compliance. With us you can accelerate your Cloud exploitation programme to deliver early and significant business benefits. We offer a variety of procurement routes for public sector organisations or, for further information, contact us directly.